AUTO DIRECT #1 RATED DEALERSHIP FINANCING AVAIL. FJ CRUISER 4WD BACK UP CAM 81K MILES! ***RARE FIND FJ CRUISER 4X4 4-DR WITH BACK UP CAMERA 81K MILES***BUY WITH CONFIDENCE FROM NEW JERSEY'S #1 RATED PRE-OWNED DEALERSHIP. 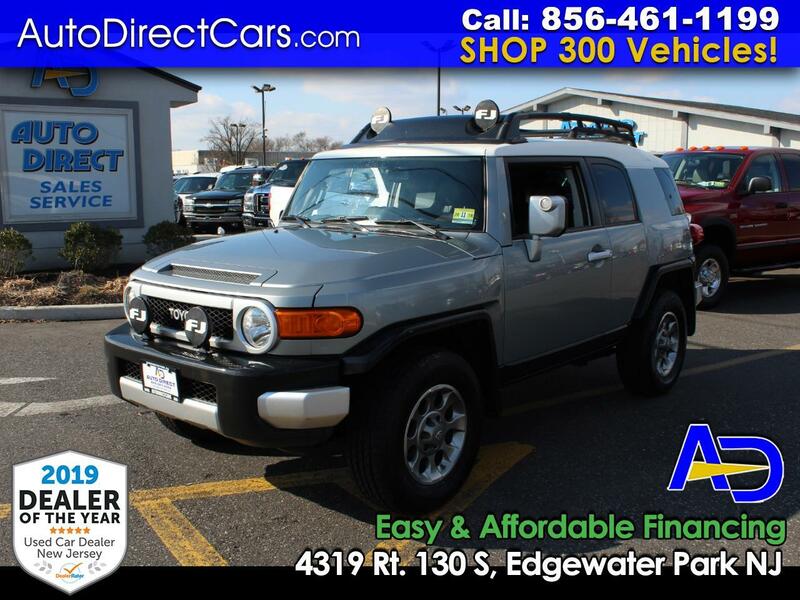 CHECK OUT THIS 2012 TOYOTA FJ CRUSIER V6 AUTOMATIC 4WD 4-DR SPORT UTILITY. THIS SUV IS IN GREAT CONDITION RUNS AND DRIVES PERFECT. 81,120 MILES IN ALL ORIGINAL CONDITION DRIVEN APPROXIMATELY 11K MILES PER YEAR. THIS IS A RARE FIND AUTO DIRECT CREAM PUFF. A MUST SEE AND DRIVE TO APPRECIATE THIS TREMENDOUS VALUE. THIS VEHICLE QUALIFIES FOR AUTO DIRECT PRE-OWNED CERTIFICATION. EASY & AFFORDABLE FINANCING AVAILABLE. TRADE INS WELCOME. STOP BY & VISIT OUR HUGE INDOOR SHOWROOM.